We send sincere and heartfelt congratulations to our dear friend, Senator Bob Dole, as he receives the Congressional Gold Medal, America’s highest —and well-deserved— civilian honor. Our parents shared an extraordinary admiration for this great man. 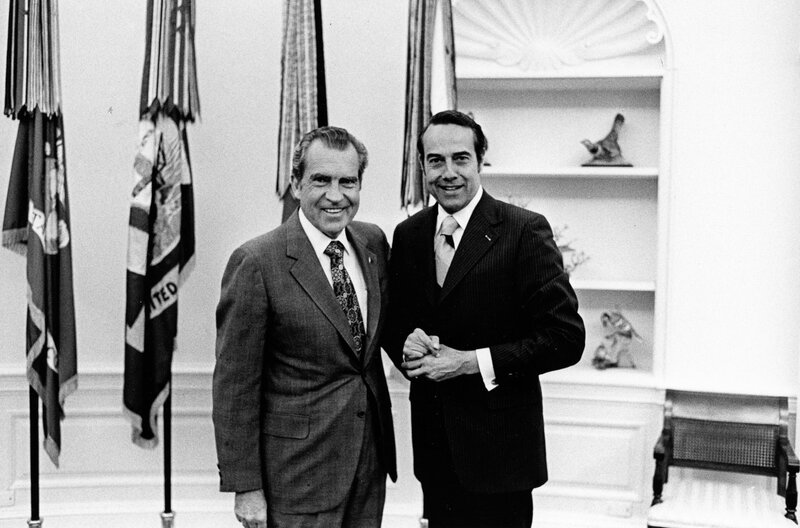 Senator Dole once called our father his mentor; indeed, the Nixon-Dole relationship that began in 1960 continued for well over 30 years, as our father saw in Bob Dole the many noble qualities and leadership abilities that Americans have come to know, respect and admire. Since our nation’s founding, Congress has awarded this meaningful designation to only a handful of people with exemplary legacies. For more than 75 years, Senator Dole courageously served his country as a devoted soldier, a consequential policy maker and a widely-respected statesman. There is no one that deserves this important distinction more than Senator Bob Dole. Today, we join with members of Congress and Americans everywhere to salute our friend, this noble hero.